Case study: SMS increase revenue - LaserLounge Ltd.
LaserLounge Ltd. is a classic video and games library. Customers rent movies and games seven days a week. The retail business makes more than 80% of its revenue on weekends, from Friday to Sunday. The management was looking for a way to better advertise the weak revenue days from Monday to Thursday and to stimulate the business for those days. The main target was to increase revenue. A simple way to get customers into the store surely are price reductions. Movie theatres usually offer low price tickets every Monday. The LaserLounge management didn't like this kind of general discount, because they were afraid to lose revenue of the already regularly paying daily customers. It would make more sense to grant discount to certain specific customers only. "Tomorrow is your Happy Day! 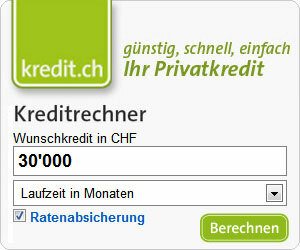 Rent all Movies for half price - CHF4.- instead of CHF8.-. We are looking forward to see you! Your LaserLounge team"
Because there are around 20 Mondays, Tuesdays, Wednesdays and Thursdays in a month, SMS were sent to a twentieth of the customers with known mobile phone number - equals 50 customers. In the beginning, the SMSBLASTER software was used to send out the SMS manually. This took only about 5 minutes a day, so the idea could be tested without causing too much cost or need of extra resources. On a longer period of bad weather the first truly summery day followed in a year with temperatures around 30 degrees celsius. By chance that day was the anniversary of the LaserLounge. "3 years LaserLounge - Happy Day for all! 3 for 1! Only CHF8.- instead of CHF24.- We're looking forward to see you!"" "There are all gone mad!" This Sunday was the best-selling day in company history. Even the sales over the Christmas period were exceeded. And this at 30 degrees celsius and a price reduction of a two thirds. The success was very surprising. The total weekly revenue from Monday to Thursday was increased by 20% as well as the revenue of each of those days. The weekend revenue didn't decrease at all. Because of this success, the process was automated in a second step. "Once a month we have the so called Happy Day. At this day you are entitled to rent all movies for half the price. The evening before a Happy Day, our customers are informed by SMS. May we also send such an SMS to you?" Most of the customers agreed and declared their mobile phone number. Since then, the LaserLounge was expanding and got more than 15,000 customers. As before, the Happy Day is being advertised by SMS.